This tutorial will walk you though obfuscating your skripts as well as encapsulating them in a jar with Obfuskator. 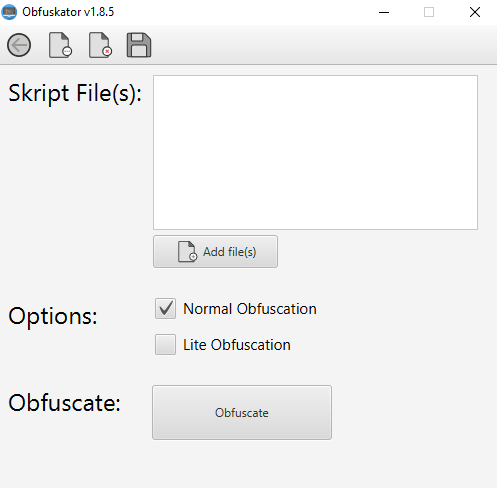 Obfuskator is not a plugin! Obfuscated skripts do not require any additional plugins besides skript to run. The obfuscation is not irreversible of course and is solely intended to deter amateur skript thieves. Note: You must remove all options in your skript before obfuscating or it will not work properly! 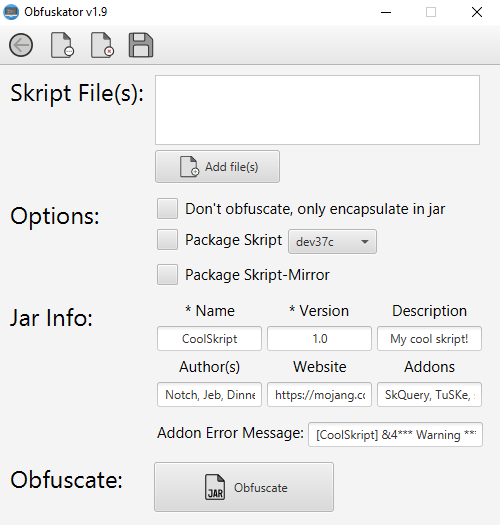 Encapsulating your skript in a jar is an efficient way to streamline distribution and your skript will not be exposed in the scripts folder. You have the option to package Skript and/or skript-mirror with your skript (see steps 3-4). When the jar is run the Skript Runtime Envrironment and Mirror Runtime Environment (SRE and MRE respectively) will be initialized. Did you find Donut's tutorial helpful?